Whether you're in the office or at home, work in style with this desk from the Palladia collection. Its spacious work surface provides you with room for all your office essentials. It features a large slide-out drawer/shelf for a keyboard and mouse, along with two drawers that open and close on smooth metal runners. The lower drawer has full extension slides to hold letter-size hanging files to help keep you organized. 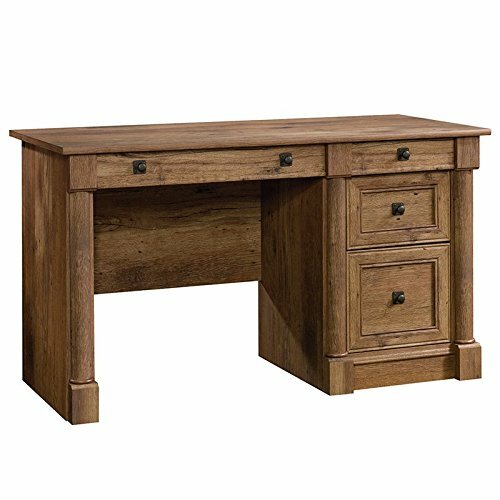 Finished in a classy Vintage Oak, this desk will impress.